Up until 2 years ago, Denis O’Hare had a terrific career; moving seamlessly from TV (Brothers and Sisters, CSI: Miami), Film (Michael Clayton, Baby Mama, Milk) and Broadway (Cabaret, Assassins, Sweet Charity). But once he was cast in True Blood, his career went to another level. As Russell Edgington, he made the show 10 times more fun to watch with his portrayal of the Vampire King of Mississippi. 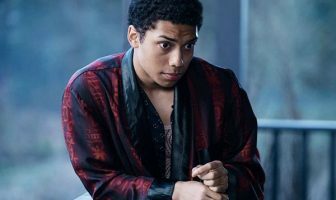 From there he went back to Broadway in Elling and now, he’s starring in FX’s American Horror Story. He plays Larry the Burn Guy, a man who was disfigured in a fire started by his wife when he revealed his love for the neighbor, Constance (Jessica Lange). In this Q&A, Denis talks about the make-up process for the show, how he got the part and how he’s “addicted” to theatre. 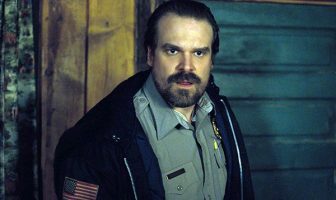 You’re playing such a dark character, and a lot of times actors say that you have to like who you’re playing to be able to play that character convincingly. Do you like anything about your character, and how do you connect with him? Denis O’Hare: You know, it’s funny. I love this character, and I love him because I feel like he is engaged in a sort of timeless epic struggle. And I see him as kind of a Dante-esque figure. He’s somebody who is trapped in a circle of hell, and he’s trying to work his way out. And he’s a human being who’s flawed, and he’s obviously weak, and he’s given into temptation and made bad choices. But through that all he’s still got this sort of, I don’t know, passion and dream to achieve something. And he’s—it’s an odd character. Like no other character I’ve ever played in my life, I find that I have to reach for a metaphor to describe him. I have an innate sense of who he is, and when I’m playing him it’s all very instinctual. But to describe it I find myself running to literature, and so I think it’s sort of like Igor in the Frankenstein mythology, or an amanuensis in some other mythologies, or a psychopomp as they call them sometimes, somebody who traffics between worlds. And it’s a really odd, beautiful character. You seem to really be able to lose yourself in every role you play. You’re so great all the time, but it always takes a minute to go, “Oh, it’s him!” because you’ve become that character so incredibly. How does that happen with you? 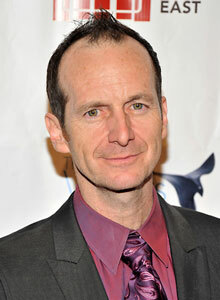 Denis O’Hare: Well, part of it is the richness of the character. A part of the reason I’m drawn to characters like this guy, or like ‘Russell Edgington,’ or like even the guys like ‘John Briggs’ in Milk, is that they’re sharply etched, and they’re clearly defined. And so I, as an actor, have an easier task. I know where I’m going, and if you add to it an aspect that’s larger than life like someone like ‘Russell Edgington’ who’s 2800 years old, or someone like ‘Larry’ who’s got a very severe physical deformity, it takes away part of your resistance as an actor, and you simply give over to the character’s features and the character’s characteristics. You know, Ryan [Murphy] wanted me to have a wooded arm and sort of a limp. So the minute you start putting these things on you feel different and you feel like someone else, and that then forms everything. What is it that you like and dislike about genre work like American Horror Story and True Blood? 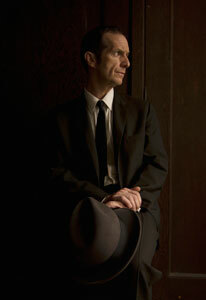 Denis O’Hare: I guess I didn’t even know the word genre until I did True Blood. That’s how naïve I was, and I didn’t realize that there was a point of view about certain types of TV. And so I guess I found it disappointing that there is a segment of the critical community that looks at genre as something that is separate, less than. And especially when it comes to something like the awards I find it kind of baffling that True Blood has been snubbed so many times given the incredible range of acting they have on there, I mean, incredible storytelling and the incredible production values. So I guess I’ve been a little shocked at the prejudice that exists even by having a word called genre. What I love about it is that it, like sci-fi, is truly imaginative. And I guess I’m kid at heart in that when I go for entertainment. I want to be totally transported. I want to go somewhere else, I want to encounter different things, different beings, different universes. And so I love that aspect of being able to play those things in both True Blood and in American Horror Story. And he basically outlined American Horror Story for me and said that there’s a character named ‘Larry the Burn Guy,’ and I’d like you to play it. Couldn’t tell me whole lot about where ‘Larry’ was going to go, but he sent me the pilot which I read over the weekend, and we were supposed to begin on Monday and he said, “Do you want to do this?” and I said, “Absolutely, I’d love to do it.” And that was it. We made the deal, and we moved on. It was very unusual, and that was my understanding is that’s how Ryan operates. He tends to be very to the point. He decides what he wants, and he goes after it and gets it, and I loved it. 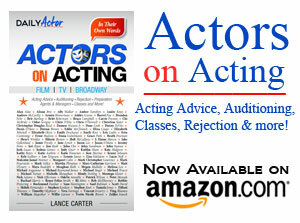 There are so many schools of acting from Stanislavski Method to Laurence Olivier’s, “It’s all just pretend, dear boy.” What is your process, and how did you apply it to creating ‘Larry’? 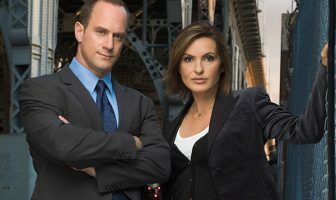 Denis O’Hare: I mean, I’m a Stanislavski actor. I was trained at Northwestern University in Chicago, Illinois—Evanston, rather. 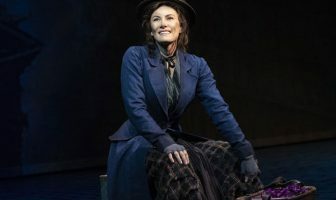 The tradition I come from is a form of Stanislavski, which means that you are looking simultaneously at the text and looking for clues beneath the words. And you’re also doing an imaginative exercise where you’re thinking about what’s happening in this world, what’s happening after this moment, what’s happening before this moment, where have I come from, what is the entire history behind this moment? And with a character like ‘Larry’ there’s so much to draw on. And the challenge, of course, is that I’m not always up to speed about what is true and what’s a lie. And I’ve had a shocking conversation from Ryan about a month ago where we’re talking about where ‘Larry’ was headed, and given last night’s episode he said to me, “Well, we’ll find out that everything ‘Larry’ said is a lie.” As an actor you’re kind of like, “Oh, so all the things I’ve been playing are a lie” which is kind of genius on one hand, because actors with too much information can be very dangerous creatures. ‘Larry’ looks so completely scary. Can you talk about the transformational process that you have to undergo to turn out looking as a burn victim? 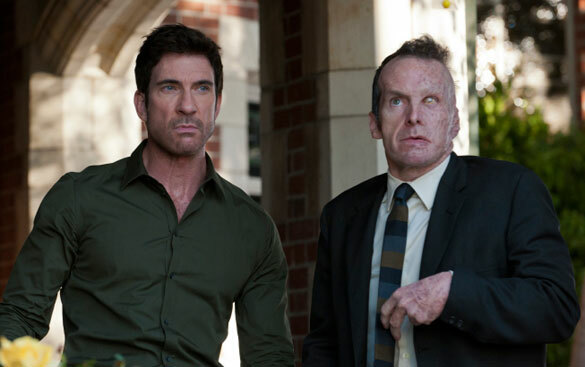 Denis O’Hare: Yes, it’s funny… I was noticing last night that they actually favored my right side, my face, a lot in that episode, and we didn’t actually see a whole lot of the burned part, which I found very interesting. It’s a trick when you’re shooting to try to figure out how…which side do you favor. Makeup takes about three and a half hours, and it’s this great company that works with American Horror Story. Christien Tinsley is the name of the company, and a guy named Mike Mekash is my primary makeup artist, and he’s just fantastic. And it’s a long process, obviously. It’s multi-layered appliances, and then there’s a lot of painting, a lot of hand painting, and then there’s a wig involved, and then that goes on. And then the hand has to be cinched in, and the hand gets makeup-ed. And it’s exhausting, but it’s really great, because it allows me to sort of step down into the character gradually. I don’t ever get chopped into shooting. By the time I am shooting I am very well ready. You come from a long line of actors who are onscreen wearing a good deal of prosthetic make-up from Ron Chaney to Robert Englund. That first time you’ve had the makeup one, how much time did it take for you to kind of get into that skin and realize the extent of what your facial expressions could be like and how far you can take it? Denis O’Hare: There’s a—when you first put it on I was walking around the lot at Paramount in California, and I went to the cafeteria. And it was very uncomfortable, because the makeup is so good, and it looks so real that people assumed I wasn’t an actor, they assumed that is was, “Oh, look at that poor guy.” So people would sort of avert their eyes, or they would nod politely, and it’s a great exercise in exploring what the character’s daily reality must be like. I found myself, and I find myself, not wanting to be in public. So when I’m shooting I tend to sit in my trailer alone and ask the … with me. I tend not to—I don’t want to walk around, I don’t want to be gawked at. It’s really weird, I just find myself in the position, I just, you know—not that I’m ashamed; I don’t want to be the freak show. You’ve done a ton of Broadway and obviously film and TV. Does any one give you more satisfaction at the end of the day? Denis O’Hare: You know, I think—I mean, I’m trained as a theater actor, and I’ve spent most of my life on stage, and I—the sort of immediacy and tight-wire act that theater acting is I’m addicted to. That being said, there are things you can do in film and TV that you can not do in theater, and the subtlety in film and TV I really relish. And the sort of outlandish effects you can do in film and TV I find attractive. 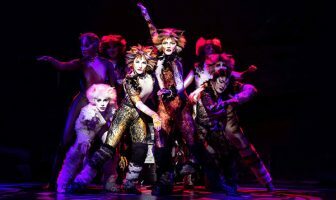 I, for instance, have never done this kind of makeup on a stage piece. I’ve never done that before, and so I’ve only been afforded this sort of experience in TV and film, and I do love that. Denis O’Hare: It’s funny you should say that. I don’t know if you know who James Morrison is. He was an actor on 24. He’s a lovely guy. He made a documentary called Showing Up, and it is about the audition process, and he interviewed, I don’t know, 30 people.